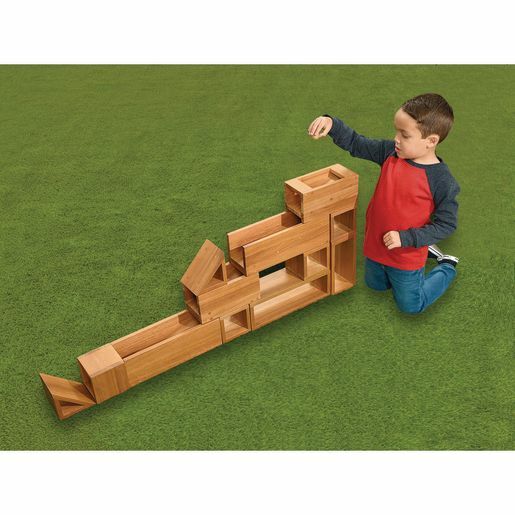 Take block play outside with this beautiful set! Eucalyptus wood blocks are durable and easy to clean. Ramps, hollow squares, rectangles and triangles provide tons of creative possibilities.